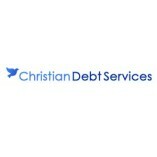 Christian Debt Consolidation Services and our network of service providers are dedicated to helping people become debt free. We provide you with the means to pay off your outstanding debts and find real relief from excessive financial burdens. We... want you to understand all the options available to you so you can make the best decisions about your financial future.